We'll help you save on Sun Life Insurance! Is it time to get a life insurance quote? Shopping for life insurance in Ontario doesn’t have to be difficult. It’s about knowing the life insurance coverage you need and working with life insurance companies to get a quote and explore your options. Through our brokers, we can help you get a Sun Life Financial life insurance quote, and quotes from many other life insurance providers, to help you get the coverage you need at a price you can afford. Founded more than 150 years ago, Sun Life Financial is an insurance company that has strong brand recognition across Canada. 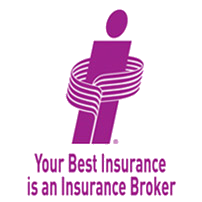 Today, they have expanded their insurance offerings to include life insurance and many other insurance products, such as car insurance and home insurance, and many others. They also offer wealth solutions to their millions of clients in Canada and around the world. With a presence in more than 1,200 communities nationwide, including many in Ontario, Sun Life provides people looking for life insurance quotes and solutions with a trusting and reputable brand that they know can help them with a wide range of financial services and insurance to achieve lifelong financial security. Flexible life insurance options : Sun Life offers a variety of life insurance products for you to consider, providing you with flexible options, regardless of your current situation. Experienced advisors : Sun Life advisors can answer any and all of your life insurance questions and help you assess your need for life insurance. Talking to an advisor is free. Dependability : Sun Life has been around for over 150 years, and they are an institution in the insurance industry – giving you peace of mind in knowing they will be there when you need them most. Term life insurance : A simple and affordable plan with a fixed amount of coverage for a defined period of time. Permanent life insurance (whole life insurance) : Provides lifetime coverage. Participating life insurance : Your policy is eligible for dividends – which can be used to buy more coverage, earn interest, or taken out in cash. Universal life insurance : A more flexible form of permanent life insurance coverage. Each one of these life insurance solutions from Sun Life offers a number of features and benefits. Talk to a ThinkInsure broker today to assess your life insurance needs and to get a quote for life insurance. Learn more about insurance with Sun Life by calling a ThinkInsure advisor today. We’re happy to answer all your insurance related questions. Get A Sun Life Financial Insurance Quote Today! Whether you are new to life insurance or you simply want to explore what the market has to offer, our insurance brokers are always here to help you compare life insurance quotes and help you get the coverage you need to protect yourself and your family. Call us anytime!